(Community Matters) Dad (80yo) passed away on October 15, 2015 at his ranch in Sealy, Texas surrounded by family after battling kidney disease and cancer. Dad always reminded us, he lived a longer & richer life than he ever expected or deserved. We dispute that it wasn’t deserved. One of 15 children born to Beatrice Vela Sepulveda of Allende, Coahuila, Mexico and Alfredo Sepulveda of Seguin, Texas, Eloy was born in Aqua Dulce, Texas on May 19, 1935. Eloy spoke Spanish until entering the first grade in Houston. He left high school to join the Army (35th Infantry, 769th Medical Detachment). 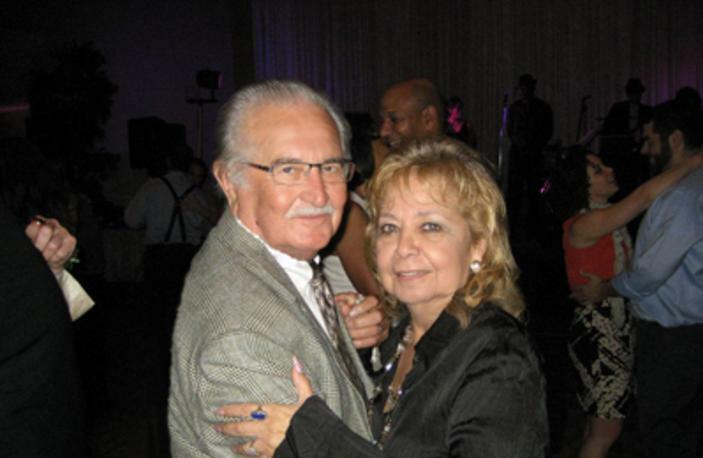 After four years of service, Eloy met Gloria Gomez at a dance in Houston. He and his best friend married the two women they met that night. Until his death, both couples remained happily married. Eloy & Gloria owned property in Sealy, Texas – affectionately known as “the ranch” or “the farm” – where they retired in 2005. Over the 44 years, they hosted family, schools, churches & friends, 2 to 400 at a time. Most of Eloy’s 60+ nieces, nephews, and godchildren grew up spending memorable weekends at the ranch camping, fishing, riding motorcycles, tractors, golf carts, horses and the dreaded Shetland ponies. Eloy is survived by his wife of 55 years, Gloria Gomez Sepulveda and their children: Eugene & husband Steven Tomlinson; Bridget Marie Lewis and husband Eric; and Eli Ronald and wife Luci. Eloy was especially proud of his three grandchildren: Shaun David Holifield, Eli Joseph Sepulveda and Paulina Q. Sepulveda. Surviving siblings include Gilda Cuevas and husband Santos, Roy and wife Lorraine, Ramiro, and Alex and wife Minerva – as well as Fred Alvarado, Vera Sepulveda, Karl Thomas & Joe Palomares. Eloy considered Gloria’s siblings his own and survivors include Lily Martinez, Lula de la Isla and husband, Javier; and Yolanda Gonzales and husband Robert – Sarah Ann Chavez a niece like a sister. Godchildren: Benjamin Gonzales, Brian Gonzales, Diane de la Isla, Sylvia Martinez, Norma Jean Mckeown, Joel Palomares, Roland Alvarez, Zachary Gonzales, Jaime Sepulveda, Jennifer Gurka, Julie Zimmerer and Alma Zimmerer Montelongo (13 & 14?). Plans are underway for a memorial service and celebration of Eloy’s life at his ranch on Saturday, October 31. Information at EloySepulveda.com.